Our non return valves are technically optimised to satisfy your high demands on pressure loss, flow speed and functionality. Our Range of sampling valves are of the highest quality and range from spring to close devices which require safe manual actuation to devices using pneumatic actuation for remote operation. 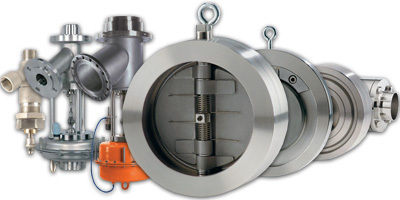 High Quality Check Valves available in Wafer and In-line, Check Valve designs, Sampling Valves and Tank Bottom Valves. Manufactured in Brass, Bronze and Stainless Steel, available with screwed connections. Manufactured in Cast Iron, Bronze and Stainless Steel, available with DIN and ANSI flanged connections.